Traditional tattoos have different symbolic meanings. Before you decide to have a new one, it is important for you to understand what they symbolize. This step is very important for you to avoid future regrets because these skin inkings are permanent. Traditional tattoo artists make different art styles that might include some nautical designs such as compasses, anchors, ships, and stars. Old-school tats are interpretations and symbols of ancient traditions. Some of these inkings can have more than one meaning. Traditionally, a feather is a symbol of enlightenment and freedom. Feather art has traditional links with the Native American culture. This feather modification was respected and loved by the majority of the Americans because it gave them hope and the freedom in the society. 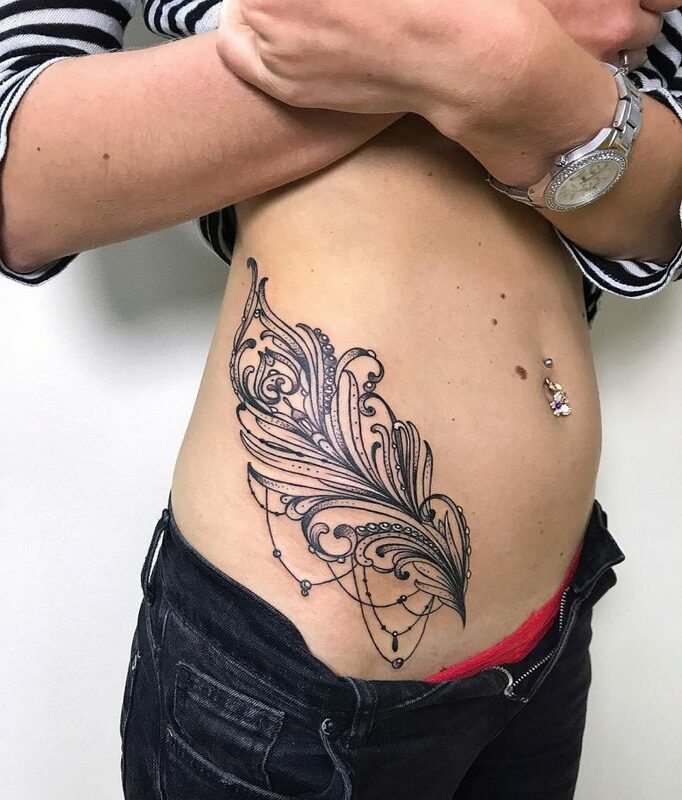 A feather inking is a fashion statement, a means of identity to the Native American culture, and a means of expressing your personality, which can be different from other people. An anchor is the most stable and secure object that a sailor can depend on. An anchor tat represents a symbol of stability and protection. Because of that, tattoo artists emblazon them with the names of the sailor’s sweethearts, (the people who keep grounded). The anchors have now become popular in the tattoo culture, but their symbolism remains the same. If you wear an anchor, it will remind you of the famous personalities and things that keep you steady in life. For instance, if you are always in agreement with your partner, it is rare for you to disagree. An anchor tattoo is a traditional symbol of security. The ship tattoo is a metaphor. The ship represents wear, and the water represents life. The waters can be stormy or smooth, with some rocks spelling out. A ship inking can present the sails as slack, full, or torn. This tat is a metaphor that shows the feelings of the wearer in their life. Full sail means that life is comfortable while the slack symbolizes that the wearer is adrift from expectations or is without a defined direction. A torn sail shows that the wearer has been going tough a tough life that is full of challenges. Before wear a ship inking, you have to put these meanings into consideration. The nautical star, a two-toned, five-pointed star is one of the traditional tattoos that has an aesthetic value. Traditionally, this inking was a symbol that was associated with navigation. The tat can express the desire of the wearer to have a real life or have safe journeys. These inkings are commonly worn at the front shoulders or on the chest and symbolize the lights of a ship, which are green, or blue and red. These colors refer to the starboard of a vessel. When sailing, if the sailors can see both the starboard lights and the port of an incoming boat, then they are in a collision, and one must give way. The nautical star tat is a metaphor, which suggests that one must give way. Traditional skull tattoos have different meanings that vary depending on the culture or the wearer. 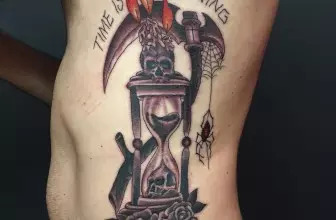 The tat can represent death to some traditions. This symbol can also represent death, or that life is too short, and we should always take care. 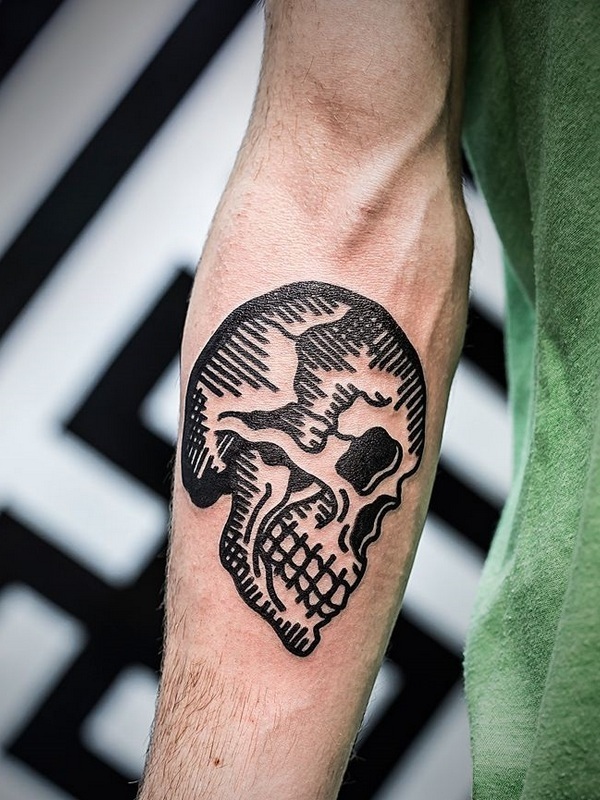 However, the skull inking can be a symbol of rebellion or triumph. This is one of the unique tats and before wearing it, you have to consider the societal implications. 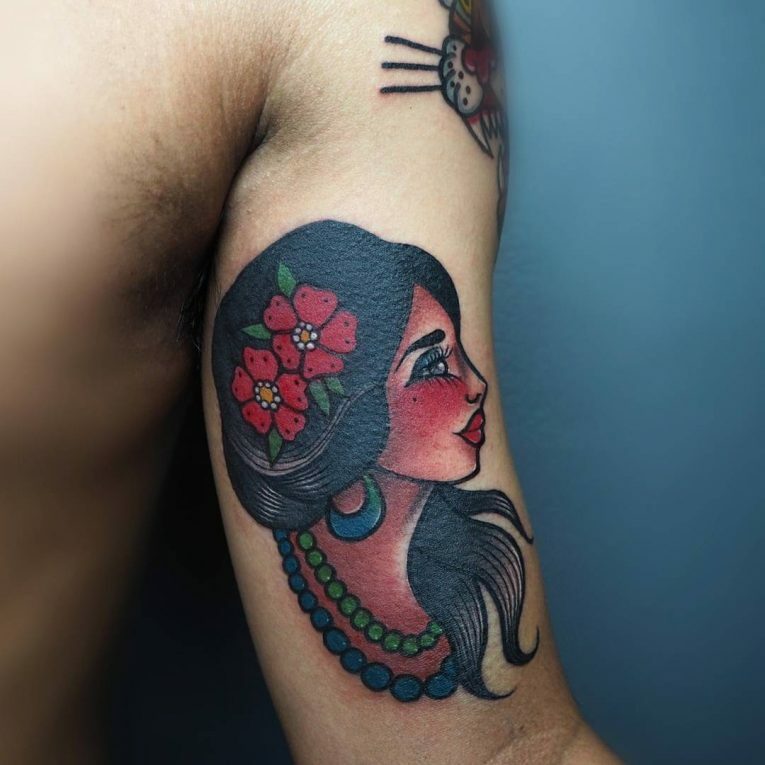 In some cultures, the traditional skull tattoo is a symbol of the celebration of one’s life. This meaning is enhanced by the inclusion of a rose in the skull inking. A wolf is known as a symbol of merciless determination and a pack animal that the family or friends are essential for its survival. Wolves represent hunger, greed, and hard times. The traditional wolf tattoo represents the desire for wealth, happiness, success, and achievement of individual goals. The inking can also be used to show that someone has passed through difficult times in life if it features a dagger. Such people also have the potentiality of overcoming struggles in their life. If you have come through a lot of problems in life or you have the hunger of success, you should wear this type of inkings. This type of inking is common in cultures that base their art on images instead of designs. The rose in the traditional American culture represents different meanings and the way the tattoo artists design it can change its meaning. 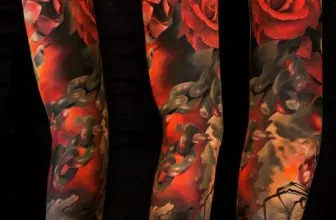 They can design the rose tat to have thorns, be open, closed, open or partially open. 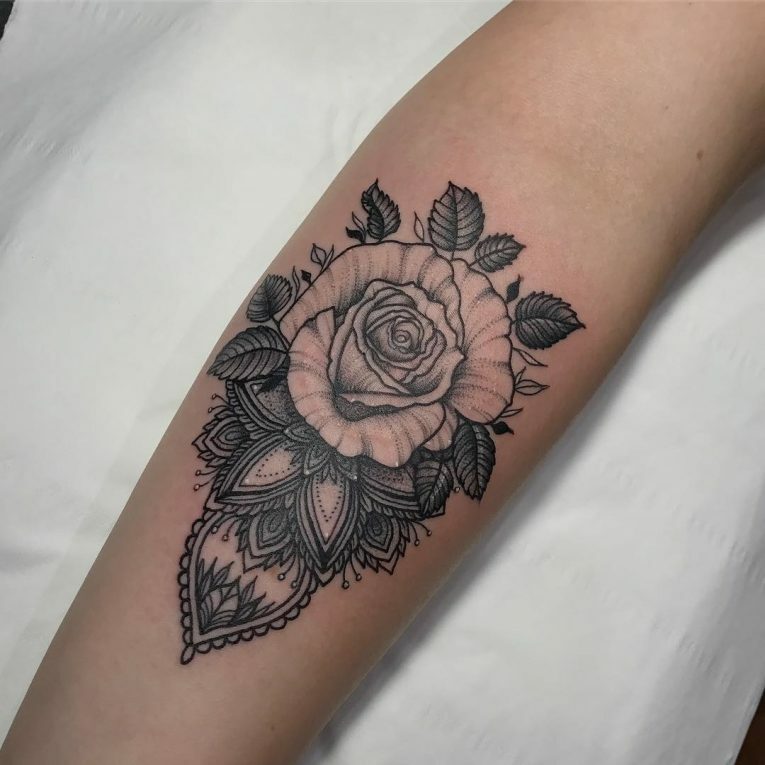 The rose tattoo can also represent the beautiful feminine characteristics. A man wearing the rose inking symbolizes that he has somebody in his heart, be it a mother, a girlfriend, or wife. The image of a dagger or knife is used in many cultures. The dagger is associated with death, ferocity, and danger. This type of inking was common to the marines and the army during the Second World War to symbolize unity to a particular group of soldiers and death to their enemies. For them, it symbolized a tool that protected them from their enemies and a weapon to use during the war. The dagger inkings can also symbolize tenacity, quickness, or death at war. 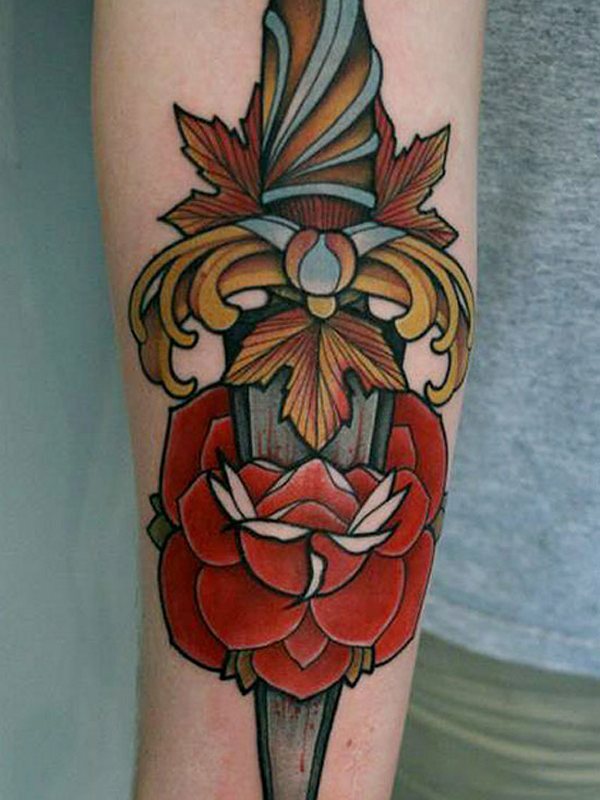 There are some variations of the traditional dagger or knife tattoos. These variations combine them with some elements of design such as skulls, hearts, and flowers. If you wear a dagger tat that is paired with a heart, then it means that at some point in life, you had a broken relationship or lost love. A swallow tattoo symbolizes loyalty. It shows that the wearer will remain loyal to, or return to their family and friends. If worn at the back of the hand, it shows that the wearer wants to go back to the century of street fighting in Scotland and England. For sailors, the swallow inkin was a symbol that if they die at sea, the birds could carry their soul home. In general, this tattoo symbolizes a safe journey back home. The tats also show the sailors migration patterns.